Welcome to Busy All Night. iOS apps, games and design by David Dennis. 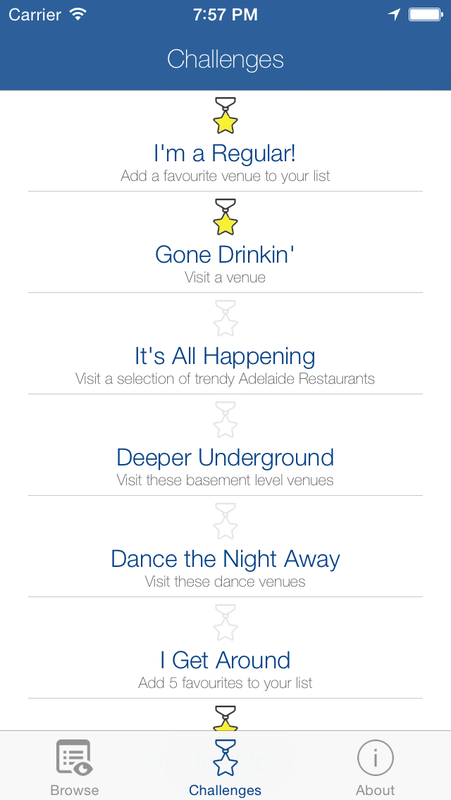 Around Adelaide is an iPhone app that provides you with a fun way to discover the incredible variety of pubs, clubs, restaurants and places to socialise in Adelaide. 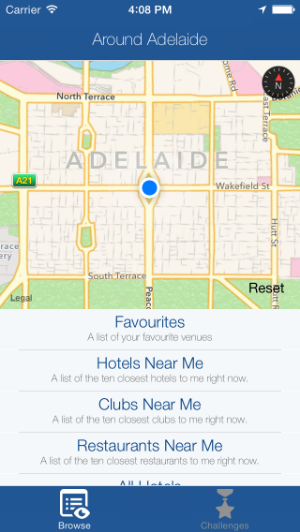 The app is designed specifically for use in the Adelaide CBD. 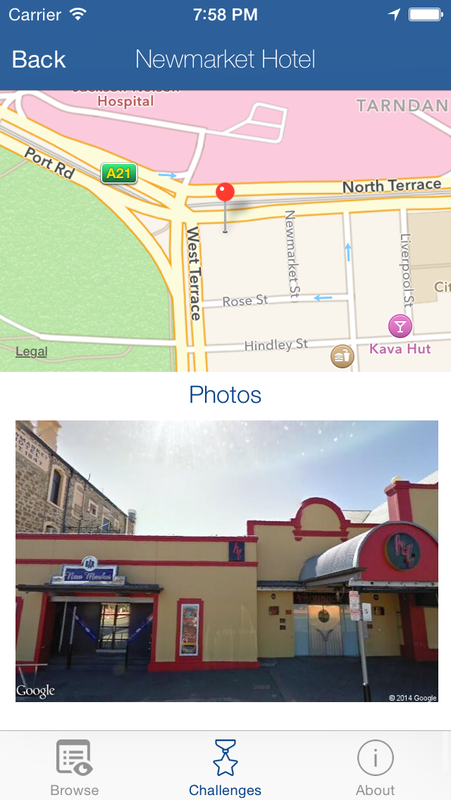 Fire it up when you are in Adelaide and location-aware options are presented to help you find venues you're interested in close to your current location. You'll be provided with details about the venue, advice about travel distance and simple directions to get there. You can let your friends know where you're headed right from the app by email, Facebook or Twitter. For those of you looking for a contest. head on over to the Challenges section of the app. We've put together groups of venues in categories like "historic venues", "underground venues", "trendy pubs" and dozens more. Visit them all to complete the challenges and collect your trophies then share your achievements on Facebook or Twitter straight from the app. Designed with visitors and local residents in mind, Around Adelaide will help drive people to discover new and interesting venues and locations to visit in our beautiful city.